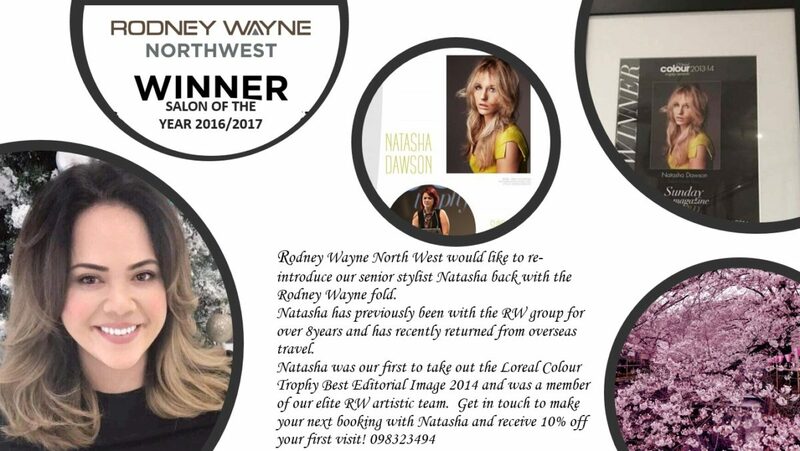 Rodney Wayne NorthWest would like to re-introduce senior stylist Natasha back to Rodney Wayne NorthWest. Natasha has previously been with the Rodney Wayne group for over 8 years and has recently returned from overseas travel. Natasha was our first to take out the Loreal Colour Trophy Best Editorial Image 2014 and was a member of our elite RW artistic team. Get in touch to make your next booking with Natasha and receive 10% off your first visit! Rodney Wayne NorthWest is by the Countdown entrance. Call 09 832 3494 to make an appointment.